I am trying to watch a video on Google Chrome and I got this error below. Could anyone tell me how to solve this problem? I can view videos normally on Youtube but with this page I have the problem. Thank you. It appears that the plugin that is not working is flash. If that doesn't work, update Chrome. Ensure that Chrome is configured to allow the desired website to run Flash. Unfortunately, Chrome will no longer allow a website to Flash to run by default, or even popup a small dialog to ask permission. Instead, it is necessary to explicitly configure Chrome. To do this, navigate to chrome://settings/content and then either enable Flash for all sites by choosing "Allow sites to run Flash" (which, depending upon how the browser is used, may be a security hazard) or else enable it for only the desired website via "Manage Exceptions..." and then enter the desired site, e.g. mysite.com, and press enter. If that doesn't work, uninstall Chrome and reinstall. This is tricky because the uninstaller program does not fully uninstall Chrome. Find instructions on the Internet to help with this (it involves deleting directories, modifying the registry, etc.) Also note that, although this step is frequently recommended, in my experience it is a long-shot because it seldom works. If that doesn't work, then download and install the Pepper Flash Player from Adobe. However, this approach can lead to another issue, which is that Chrome will not run an external Flash Player if its own bundled Flash Player is of a newer version. Since Chrome auto updates itself frequently, and since Adobe releases new Flash Player versions frequently, this may happen before long. To work-around this issue, run Chrome with the --disable-bundled-ppapi-flash command-line switch. PS, Whatever you do, if you download and install Flash Player then do so only from adobe.com domains. Do not, under any circumstances, respond to popups advertisements from other domains which offer to "fix" or install Flash Player as these may introduce serious security hazards. Not the answer you're looking for? Browse other questions tagged google-chrome browser-plugin or ask your own question. Why can I not watch YouTube videos on Google Chrome? 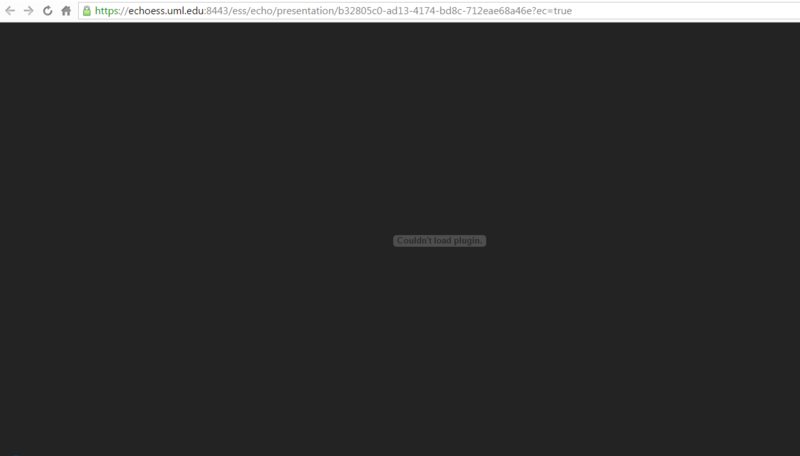 Why is google talk plugin video accelerator crashing on startup?